Merchants must adapt to consumer demands to keep their customers. And more and more of these customers are millennials, who currently make up a quarter of the U.S. population. Millennials are tech-savvy, influential buyers who expect their purchasing experiences to be fast and efficient – and they are shaping the current and future payment landscape. 2017’s payment predictions reflect the ever-evolving, on-demand consumer who wants to browse, purchase, receive, and even re-order their goods in a seamless, timely, manner – and often via the click of a button. 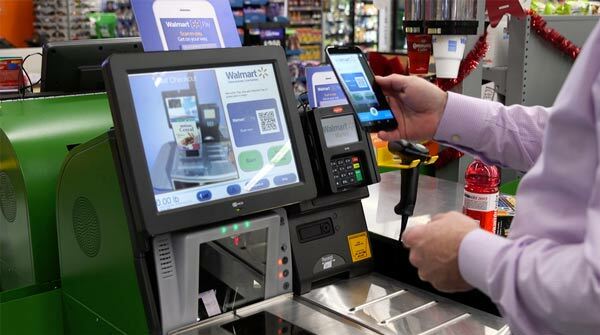 We will continue to see payments shift online with technologies such as digital wallets, on-demand apps, and increased connectivity through near field communications (NFC) and Bluetooth – all improving payment processes for consumers as well as driving significant behavior and societal trends. More consumers will realize the convenience of the fast, seamless payment experience that comes with mobile wallets and NFC technology. Slow to take off at first, many mobile payment apps had a great run in 2016. Apple Pay, with much hype around its debut, struggled with user adoption in late 2015 but is now reporting an increase of one million users per week. Mobile payments are also shifting the way banks operate. In her recent Sleepless in 2017 article, PYMNTS.com’s Karen Webster explains that banks, once a traditional, brick-and-mortar business with your biggest competitor being the bank down the street, can now be found in the palm of the consumer’s hand. The world was a little skeptical when Apple recently announced that the iPhone 7’s headphones were wireless, but the move on Apple’s part was a smooth one, nudging consumers in the way of using wireless more and increasing the adoption of Bluetooth along the way. 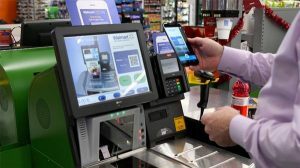 As consumers increasingly use Bluetooth, they will become more adept using this technology in a mobile payments setting – a direction all merchants and consumers seem to be heading. Consumers’ desire for “on-demand” purchases will take hold of retail in 2017. In fact, two-day or even next-day shipping is becoming too long to wait for today’s consumers that want instant gratification. “Amazon Go,” Amazon’s concept store, where people can pick up items without stopping to pay for them. 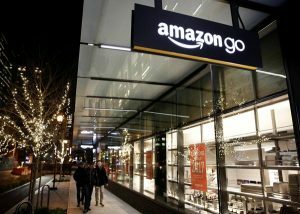 Amazon Go automatically senses what customers are buying and charges their Amazon account, eliminating the physical checkout process. Dash technology, where Amazon consumers can reorder products with a push of a button on an appliance – GE, Samsung and Whirlpool are already working with this technology – or via a WIFI-enabled Dash button, where an array of products can be ordered with a single press. Amazon even refunds the full cost of the Dash button after its first use. Merchants will continue to follow on-demand consumers by creating new apps for all sorts of services from dog walkers to ordering take-out to ride-sharing. These apps create the convenience our on-demand society craves, but also encourages a culture of sharing. Many of 2016’s payment predictions saw Omni-channel becoming a reality. Once merchants completed their migration to EMV and implemented advanced security measures, they could shift their focus to new differentiators, which included the ability for consumers to pay in multiple ways across different channels – in-store or online. Keeping pace with today’s consumer is a large enough task for 2017 on its own, but with increasing reports on data breaches and cyber fraud, any business accepting brick and mortar and online payments will need to be knowledgeable on the best practices for keeping customer card data safe. In Part 2 of 2017’s Payment Predictions next week, we will discuss the trends in cybersecurity, and the solutions that will help to keep your business, your brand and your customers safe from becoming the next victim of a data breach.